Utah’s game wardens work for the state’s Division of Wildlife Resources and are known as conservation officers. Utah’s vast and diverse wilderness areas and array of wildlife draw both people who enjoy the state’s amazing natural beauty, as well as more nefarious individuals looking to take advantage of it. Each officer patrols about 1,500 square miles. While apprehending poachers is a key duty in Utah, they also perform a number of other functions. These officers track wildlife and educate the public about conservation and safe hunting practices. They also work with other law enforcement agencies to investigate wildlife poaching and to help out during emergency situations. This is a job that draws individuals with a passion for the outdoors and an appreciation for the law enforcement duties that help keep Utah’s wilderness pristine. With many more applicants than positions available, candidates who become familiar with the hiring process are better prepared for success. Read on to learn more about becoming a game warden in Utah. The ideal job candidate is familiar with Utah’s many natural wonders and has prior experience with law enforcement. Given the challenges of these positions, candidates must be prepared to demonstrate their knowledge of conservation and law enforcement during a competitive. 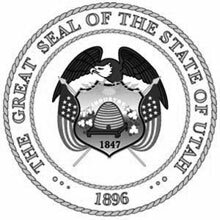 License: A valid Utah-issued driver’s license is required. Individuals must maintain an acceptable driving record. Academic Credentials: High school diploma or GED is required. Applicants must have a bachelor’s degree in wildlife or biological sciences, law enforcement or related fields. Having previous work experience in the field of natural resources is an asset. Medical Condition: The applicant must be examined by a licensed physician to ensure that they are acceptable health and able to meet the demands of the role. Vision: Visual acuity correctable to 20/20 in each eye. Normal binocular color vision with a full field of periphery is required.